A redesign of Levi’s iconic 501® jeans with a slimmer leg, the black skinny jeans retain all the features of the original classic jean. The 501® skinny fit jeans are created with a slim fit through the seat and thigh, and a signature button fly. 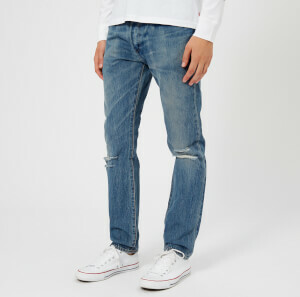 Woven with warp stretch denim that stretches the jeans vertically instead of horizontally, to mimic the wearer’s movement, the jeans will keep their shape over time.